Did you know? Author, dreamer, and all-around great human being Neil Gaiman shares writing advice with fans on Tumblr. If you've ever wondered how the pen behind Sandman and American Gods keeps writing, you're going to want to pay attention. I'm of the opinion that every aspiring writer should look to their favorite authors for advice on the craft. Some, including Anne Lamott and Stephen King, have published books about their philosophies on writing, but Gaiman hasn't — yet. As soon as he does, it will fly off the shelves, because what Neil Gaiman book doesn't sell like damn hotcakes? ... That's what I thought. 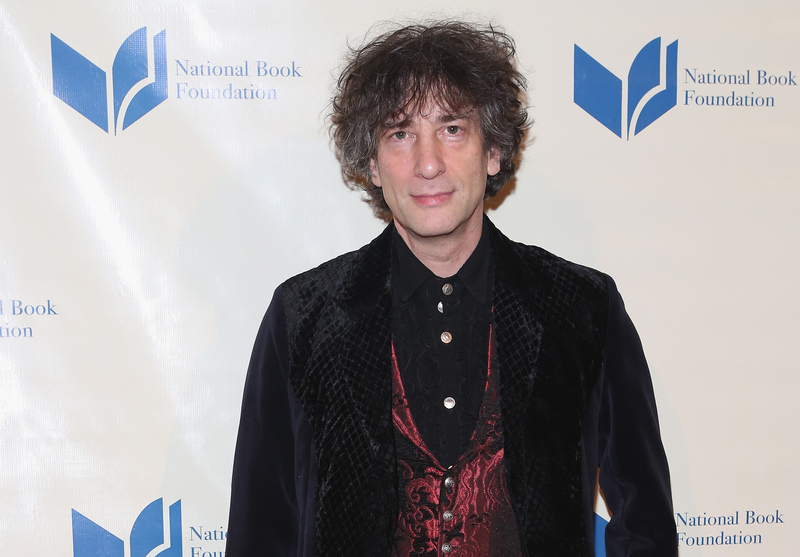 Book on the craft or not, Gaiman has a reputation for his kind words to fans who come to him for advice on social media and — ostensibly — in person. In recent weeks, he has published several answers to fans' questions on his personal Tumblr. The questions posted to the author's Ask box appear to be evenly split between pleas for advice and inquiries about Gaiman's work. You can find seven great pieces of Gaiman's writing advice below. Follow the links to read the original posts on Gaiman's Tumblr. If you've got a burning question, leave it in his Ask box, and be sure to let me know if he answers. Q: "So, I'm holding in my hands my first published work and what I'm wondering is does the awe ever go away? You've written so many books, some of the finest I've read, and do your hands still shake when you hold a newly published piece of your work?" A: "They don’t shake. But the awe and delight never fades." Q: "How do you deal with negative criticism?" A: "The same way I deal with positive criticism. I write The Next Thing." Q: "I'm 14 and I dream of becoming a writer, do you have any advice on what I can do for now so that when I 'grow up' I can achieve my dream?" A: "First of all, you need to read. Read everything you can lay your hands on. Read the ‘classics’ in whatever areas of writing you want to work in, so you know what the high points are. Read outside your areas of comfort, so you know what else is out there. Read. "Second, try things out. Enjoy yourself. If you find a writer you like, write like them. And then sound like something else. Write anything. Don’t worry about it being good or read by other people. Just play, and play a lot. "Third, read books on writing, use anything that seems interesting and ignore anything that you want to. When I was a boy, I remember the delight with which I found a book called THE CRAFT OF SCIENCE FICTION, edited by Reginald Bretnor with essays by a bunch of writers, although the only things I’ve used (I think) were John Brunner’s descriptions of the different shapes of stories, and Larry Niven’s advice to treasure your typos (which is where CORALINE came from). "Fourth, live as much as you can. The more things you see, the more places you go, the more lives you touch, the more you will be able to write truthfully, and the more memories you will have to make your imaginings real. The more things you see, the more places you go, the more lives you touch, the more you will be able to write truthfully, and the more memories you will have to make your imaginings real. "Don’t let people discourage you. (You are under no obligation to tell anyone you are going to be a writer.) You are not on anyone’s timeline. You can get a job that’s a writing job, or get a different sort of job: neither of these things matter in the long run. Just know that you are going to have to make the time to write. "Beyond that, you are on your own. And, when it’s you in front of a screen or a blank piece of paper, that’s the way it’s always going to be." Q: "I'm 24, and have dreams of becoming a writer, but my brain keeps telling me it's too late to start now. Any advice?" A: "Tell your brain to hush, and start writing. It's never too late." Q: "I know you're officially a 'writer', but there are surely other things that you're passionate about. What are they, and how have they helped enrich your writing?" A: "There are lots of things I’m passionate about. Beekeeping, the plight of Refugees, Freedom of Speech (and the release of writers, cartoonists and journalists from imprisonment for writing, drawing unpopular things), being a father, among many others… and I have absolutely no idea how or whether they enrich my writing. But they make me a better person, I suspect." Q: "Do you think grammar is as important as writing a well thought out plot, and character driven story, and if so, what helped you the most with your grammar? I have a terrible time with it." A: "I think that not throwing someone out of a story by confusing the reader is as important as any other part of writing. And all grammar is, really, is clarity, and using language the way it’s commonly and most clearly used. "Hugh Sykes Davies’ GRAMMAR WITHOUT TEARS was a delight — it’s a book about the English Language, written in 1953, and the best thing about it was that by the time I got to the end of it I was much less intimidated by grammar and I knew lots of useful language trivia things which have come in handy during conversational lulls. It’s out of print now, and I don’t know how easy it would be to find now. "There are other books I’ve used and consulted over the years, but those two were the most important. "Don’t obsess over grammar. If you have to obsess, obsess over clarity. Write as clearly as you can. When it works, there’s a magic in writing: you can get an idea out of your head and into someone else’s. That’s your goal." Q: "Mr. Gaiman, how can I get past the self-loathing I feel whenever I read something that I have written?" A: "Write more. And remember that everyone who writes anything good wrote a lot of bad stuff first. You are learning, be kind to yourself, just as you would be kind to anyone learning to do something hard, like juggling or ballroom dancing or surgery. Learn from your mistakes, and get better, and one day you’ll write something you won’t loathe. "(Also, it’s fine to dislike something you’ve written. But don’t dislike yourself for having made it.)"